Amateur Radio Newsline is seeking nominations for its 2015 Young Ham of the Year Award. CQ is a long-time corporate co-sponsor of the award. For consideration, a nominee must have used amateur radio in some way that has benefited his or her community or encouraged technological development directly or indirectly related to communications. Nominees must be 19 years of age or younger, and reside in the United States including Hawaii, Alaska, Canada, and Puerto Rico or any of the Canadian provinces.. The individual must also hold a currently valid United States or Canadian amateur radio license. This award is not a contest. The person selected as "Young Ham of the Year" is judged on his or her overall accomplishments and contributions. Any prizes awarded are secondary in nature. For example, a youngster whose only claim to fame is that of being licensed as an extra at age 5 would not necessarily be judged as having made a significant contribution to the Amateur Radio Service. On the other hand, a 14 or 15 year-old Technician running a Net during a major disaster or whose experimentation has advanced the state of the art in science, technology or electronic communications would definitely be given consideration. You may also download a form in Microsoft Word format by going to www.arnewsline.org/yhoty/ and clicking on the word "here". Basic instructions on what documentation is required and how to file are included on the nominating form. Presentation of the 2015 Amateur Radio Newsline Young Ham of the Year Award will take place the weekend of August 15 ­ 16 at the Huntsville Hamfest in Huntsville, Alabama. Waiting to receive your ham license in the mail is now a thing of the past, unless you have specifically requested it. As of February 17, the FCC stopped routinely issuing paper license documents to amateur licensees, noting that inclusion in the Commission's online database has for several years been the official record of a ham's authorization to operate. Licensees may print out official copies - as well as unofficial "reference copies" - of their licenses via the FCC's Universal Licensing System (ULS) database, or may request the issuance of a paper document. According to the ARRL Letter, the ARRL had asked that new licensees continue to receive paper licenses, along with instructions on how to set up their ULS accounts for future license renewals and upgrades. But the FCC declined, saying applicants or licensees who include e-mail addresses with their applications will receive an official electronic authorization via e-mail. The Commission says the change will save it over $300,000 a year. The BBC in early February abruptly dropped all of its Windows Media and AAC/AAC+ encoded internet radio streams in favor a limited number of streams only compatible with devices that can handle new codecs (HDS/HLS) from Adobe and Apple. Short term lower quality MP3 feeds have been substituted for some of the lost streams. The plans to drop WMA were announced in an obscure blog six months ago but the AAC decision was not. No over-the-air announcements were made in advance. The result was that many users were suddenly unable to stream the BBC and did not know why. Support for “on-demand” feeds is expected to end later in the month. Limited support for podcasts, probably in MP3, will go forward for an interim period before all MP3 support will also end. BBC managers posting to one of their blogs have said this is a cost-saving measure and an attempt to adopt state of the art technology. Users haven’t been mollified and hundreds of critical comments have been posted on the BBC web site. Some users have filed complaints with British regulators over the unexpected changes. The changes have cut off users of most standalone internet radio devices (including very recent high end stereo receivers and Sonos devices) in favor of codecs that work on some but not all smartphones and most PCs with current version browsers and operating systems. Aggregation services such as TuneIn, vTuner, and Reciva have been scrambling to substitute the low quality and apparently unreliable MP3 feeds the BBC is offering instead. Most devices for the visually impaired have been rendered useless by the change as well. Hardware manufacturers are also scrambling but many are unable or find it prohibitively expensive to make changes to their hardware already sold or in the pipeline. Most users won’t know how to apply the firmware fixes even where available. For retailers, if the product can’t stream the world’s largest public broadcaster, it has to be a big negative on sales in many parts of the world. The ARRL board of directors has eliminated the long-standing DXCC award rule that remotely-operated stations must be in the same DXCC entity (country) as the operator. The ARRL Letter reports that the change "acknowledges the reality of the technology enabling remote operation" and says it is now up to the operator to make sure he or she is "applying that technology ethically and responsibly." CQ recently addressed remote operating with a different approach, creating a second track of award categories for remote operation. The ARRL board of directors also made some changes at its January meeting in the rules for League-sponsored VHF and UHF contests. Specifically, according to the ARRL Letter, the board decided to allow the use of assistance in all categories, to permit self-spotting in all categories and to allow single operators to transmit on more than one band simultaneously. The Dayton Hamvention® will remain at Hara Arena for the foreseeable future, despite local news reports (circulated widely in amateur circles) about the facility's financial woes. According to the ARRL Letter, 2015 Hamvention General Chairman Jim Tiderman, N8IDS, said both the Hamvention and the Dayton Amateur Radio Association "have absolute confidence" that the arena's owners will succeed in "guiding their corporation through the steps in the plans in place to keep Hara operating for years to come," adding, "we simply stand by them and repeat, 'the show will go on.' "
In December, a Dayton TV station reported that the arena owners were facing financial problems and had laid off several full-time staff members in order to reduce expenses. 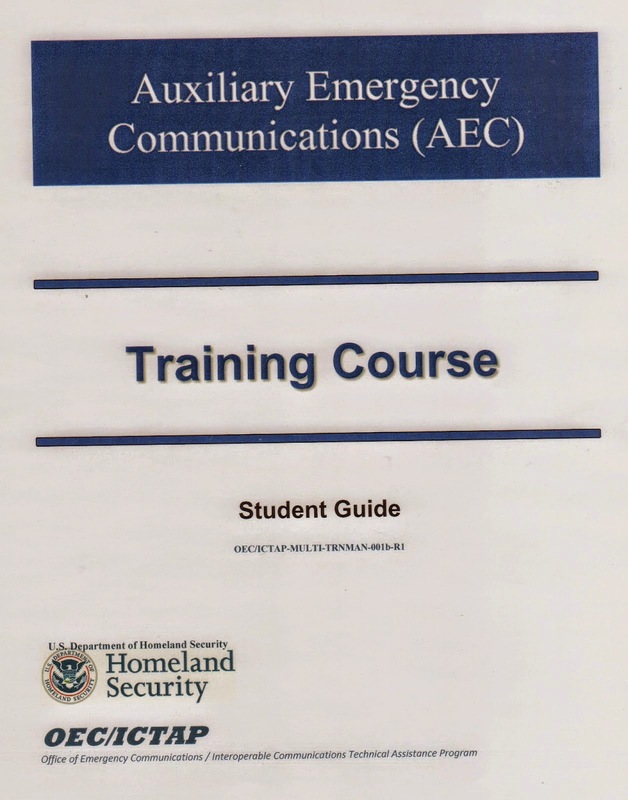 The Dayton Hamvention® reports that the U.S. Department of Homeland Security will again offer its Auxiliary Communications (AuxComm) course in Dayton just before this year's Hamvention. The course, offered by DHS's Office of Emergency Communications, "trains qualified amateur ration operators to assist their local, county and state governments with emergency backup communications," according to an announcement from the Dayton Amateur Radio Association. More than 1000 amateurs have already completed the course. It will be offered from May 12-14, with a registration limit of 50 students. Details are available on the Hamvention website at < www.hamvention.org >. End of the Line for RadioShack? RadioShack has filed for Chapter 11 bankruptcy protection, which allows it to continue operating while reorganizing and working out arrangements with creditors. The chain also announced plans to close over 1700 stores, and to sell many others to cellphone carrier Sprint. There had been no indication at press time as to whether the stores that remain open will continue to operate under the RadioShack name or whether they will continue to sell electronic components and other items of interest to do-it-yourselfers, including hams. Could Your Car's Radar Displace a Ham Band? Vehicular radar systems that help with parking and collision prevention are becoming more and more common, increasing the need for spectrum on which to operate. The FCC, which already has allocated 76-77 GHz to the radar systems, is now looking at the entire 76-81 GHz band, which is currently a shared-use ham band, with amateur radio having a primary allocation at 77.5-78 GHz. The FCC action is in response to a petition for rulemaking by Robert Bosch LLC. Bosch said in its filing that it had met several times with ARRL technical staff and, according to the ARRL Letter, "is unconvinced … that there is any 'significant incompatibility' " between current amateur operations on the band and its short-range radar system. The FCC, however, notes that it had previously suspended amateur operation at 76-77 GHz to prevent interference with radar systems and wants to be sure that any rules affecting amateur use of the full band are applied "in a comprehensive and consistent manner." It is looking for input on possible alternative spectrum in the same frequency ranges for amateur use. The proceeding is ET Docket 15-26. AMSAT reports that the first in its upcoming series of "Fox-1" satellites has been scheduled for launch in late August, sharing a ride from Vandenberg Air Force Base in California with a satellite being orbited by the National Reconnaissance Office. Fox-1A will have an FM transponder with uplink on 70 centimeters and downlink on 2 meters. Additional Fox-1 series launches are tentatively scheduled for later this year and 2016. The first two launches are part of a NASA-funded program, but the Fox-1C launch is being paid for by AMSAT, which is currently raising funds to cover those costs. More information is available on < www.amsat.org > and on the FundRazr crowdfunding site. Like a Ham in Mud? were launched together from California on Jan. 31. 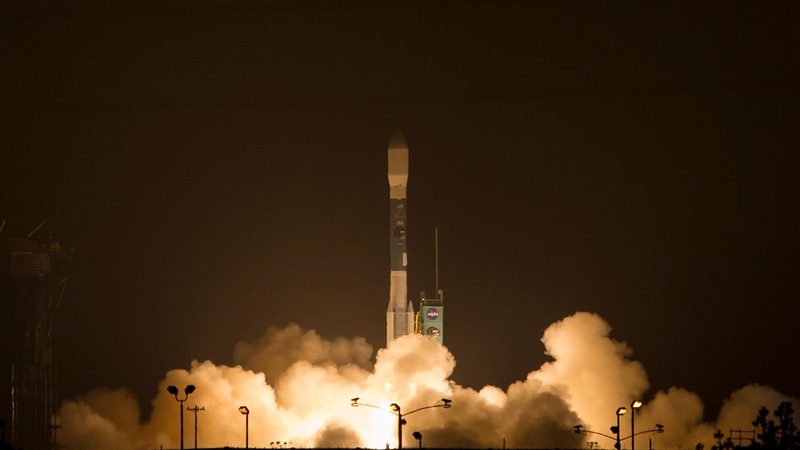 Four NASA satellites carrying ham radio transponders were launched on January 31 from California, along with NASA's "Soil Moisture Active Passive," or SMAP, satellite. SMAP is designed to map the amount of moisture in surface soil (a.k.a. mud) around the globe. According to the ARRL, its synthetic aperture radar will operate at 1.26 GHz, within the 23-centimeter ham band (ham radio is secondary on the band). The four other satellites all are studying various aspects of space weather and operate on 437 MHz, within the 70-centimeter amateur band. Hams will be able to monitor their telemetry but there is no indication that any of them include transponders for two-way amateur communication. 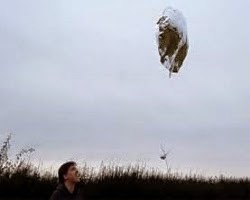 A foil "party balloon" carrying a tiny amateur radio transmitter flew from Melbourne, Australia across the Pacific Ocean to South America, then across the Atlantic and southern Africa before landing off the coast of Madagascar in the Indian Ocean. The ARRL Letter reports that the balloon carried a 25-milliwatt transmitter, sending out telemetry via the WSPR and JT9 digital modes on 20 and 30 meters during its 20-day flight. It was launched December 27 by Andy Nguyen, VK3YT, in hopes that it might make it all the way around the world, and was tracked by many hams as it traveled eastward. The ARRL and QRZ.com have begun sharing contact data between the League's Logbook of the World (LoTW) system and QRZ Logbook, the callsign-info site's online log system. But it's only one-way, at least for now. The ARRL Letter reports that QRZ Logbook users are now able to download their LoTW contacts into the QRZ system, along with their confirmation status. 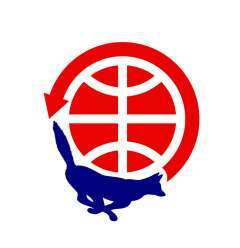 There is no reciprocal upload of QRZ Logbook contacts to LoTW, and as yet, no major award programs accept QRZ Logbook listings for award credit. Michigan in January became the 31st state to codify the FCC's limited pre-emption of amateur antenna restrictions (commonly known as PRB-1) into state law, according to ARRL Michigan Section Manager Larry Camp, WB8R. Including the FCC's requirements for "minimum practicable regulation" and "reasonable accommodation" of amateur antennas in state law is helpful to hams because state, county and local governments are directly regulated by state laws, and any questions about state vs. federal jurisdiction are eliminated.